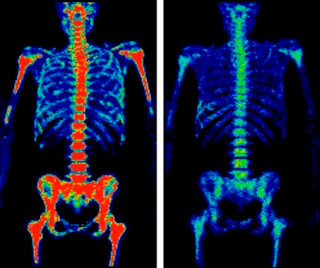 Positron emission tomography (PET) imaging technology creates 3D images of functional processes in patients’ bodies. The imaging is facilitated by positron-emitting radionuclide or tracers which are injected into the patient before they undergo the scan. The tracers combine with biologically active molecules such as glucose to indicate areas of high metabolic activity. As the radioisotope decays it emits positrons which interact with electrons, producing gamma rays. PET systems detect these gamma rays and localize the site from which the positrons were emitted —which coincides with areas in which glucose uptake is high due to high rates of cell division- through sophisticated calculations. PET technology was initially developed in the 1950s and 1960s. The development of radiopharmaceuticals in the late 1970s and ring-shaped detector arrays in the 1980s enabled widespread use of PETs for clinical applications. The data collected by PET is much poorer than that collected by CT, making it difficult to construct high quality images. Radiologists and physicians specializing in nuclear medicine developed expertise in identifying the tissues in which the molecular tracer is concentrated and interpreting this information in light of other diagnostic information. The difficulty in constructing images based solely on PET data led many physicians to read these scans in conjunction with images from CT (computed tomography) scans, which provide much clearer and more detailed anatomical imaging. This trend led to the development of combined PET/CT scanners, with which images are acquired from both devices sequentially in a single session during which the patient maintains the identical position. 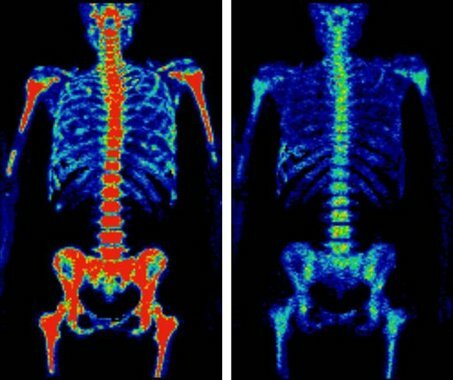 In a PET/CT, the functional imaging from the PET, which portrays spatial distribution of metabolic activity in the body, is precisely superposed in a single image with anatomic imaging from the CT. Software systems construct two- or three-dimensional images that enable precise localization of metabolic activity. As a result, PET/CT has revolutionized the fields of oncology surgical planning, radiation therapy and cancer staging. A number of barriers stand in the way of wider use of PET/CT imaging. As a hybrid device, PET/CT units are much more expensive than either PETs or CTs. And like PET imaging, PET/CT requires radiopharmaceuticals that are costly and difficult to work with, and must be produced onsite using an expensive cyclotron. Major producers of PET and PET/CT equipment include GE Healthcare, Siemens and Philips.